A stretch of highway in Dunedin is the region's busiest, but a section of road in Queenstown leads the way for the biggest increase in usage in the last few years. Figures from New Zealand Transport Agency (NZTA) traffic counters have revealed significant increases in traffic across many Otago highways since 2013. 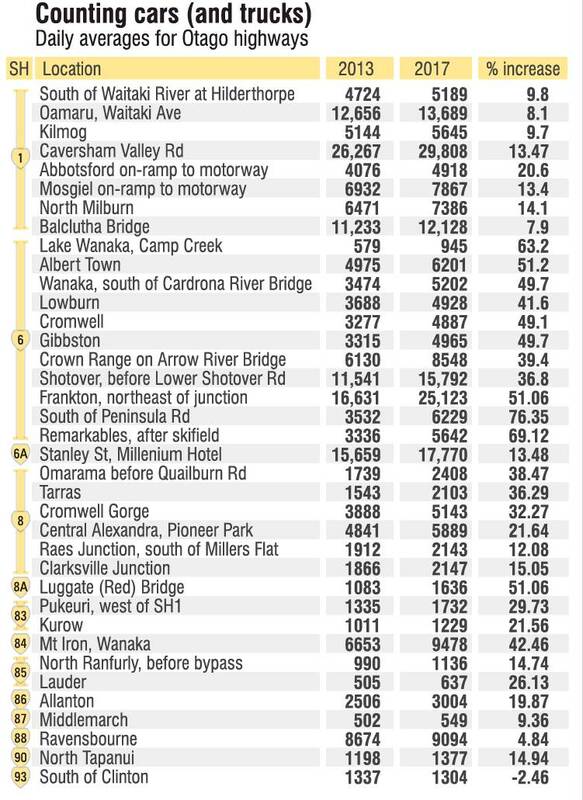 Dunedin's Southern Motorway at Caversham Valley Rd is the busiest stretch of road in Otago, with an average of 29,808 vehicles counted each day in 2017, up 13.47% on 2013 numbers. The biggest spikes in traffic were in Queenstown, Wanaka and Central Otago. 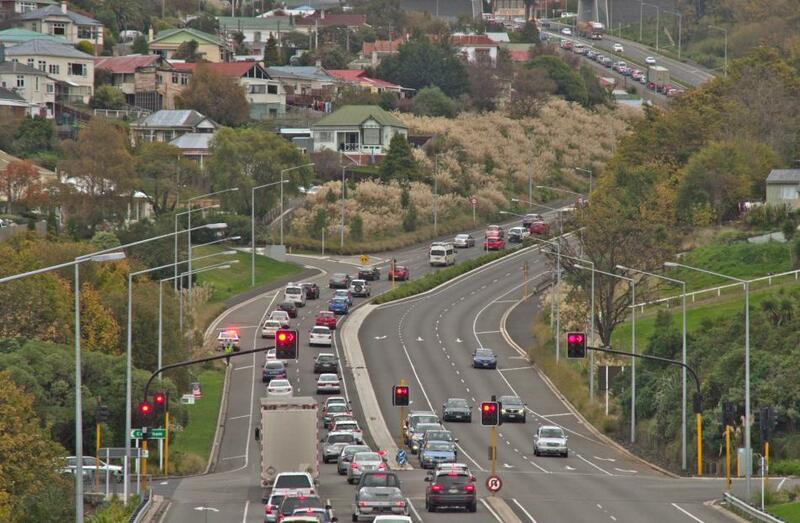 Traffic on one section of Queenstown highway had increased by more than 76% from 2013. Regular users of State Highway 6 south of Queenstown's new Kawarau bridge often speak of a marked increase in traffic. The NZTA show just how right they are. The traffic counter just south of Peninsula Road, where some vehicles turn off to Kelvin Heights, shows 2,273,585 vehicles passed that way in 2017. That was almost a million (984,405) vehicles more than in 2013. The daily average at the site went from 3532 in 2013 to 6229 in 2017 - an increase of 76.35%, putting that stretch of state highway well out in front of all increases in road-use in Otago for the period. The busiest stretch of highway in the province is SH1 at Caversham Valley Rd, in Dunedin, which had a daily average vehicle count in 2013 of 26,267 (9,587,455 annual) and 29,808 (10,879,920 annual) in 2017 - an increase of 1,292,465 vehicles, or 13.47%. Between 2013 and 2017, three sites where traffic is counted showed a small decline, one example being State Highway 93, the back road between Clinton and Mataura. The other 134 all showed an increase - the greatest in the Lakes District. For instance, State Highway 6 into the Haast Pass had a 63.2% increase recorded at Camp Creek, near Makarora, which went from an average of 579 (211,335 annual) vehicles per day in 2013 to 946 (345,290 annual) in 2017. And the historic, single-lane Luggate or Red Bridge jumped 51.06% from 1083 (395,295 annual) vehicles per day to 1636 (597,140 annual).